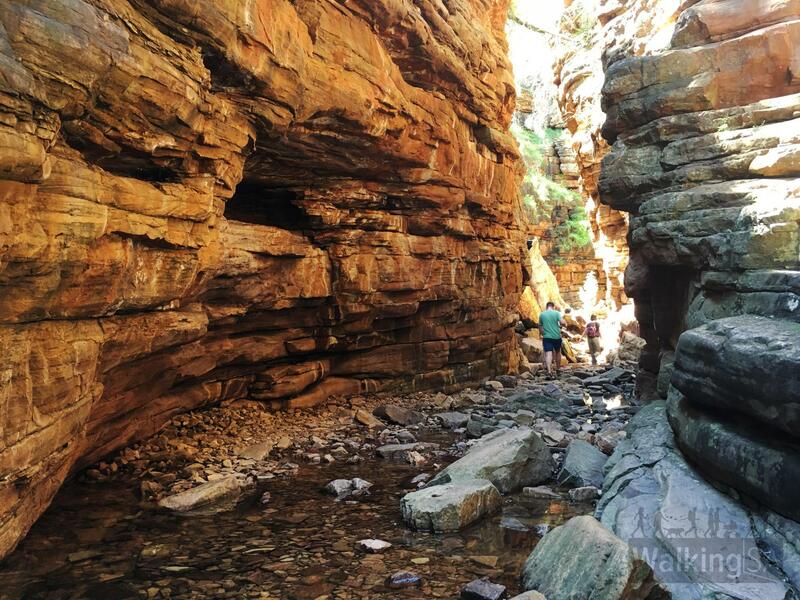 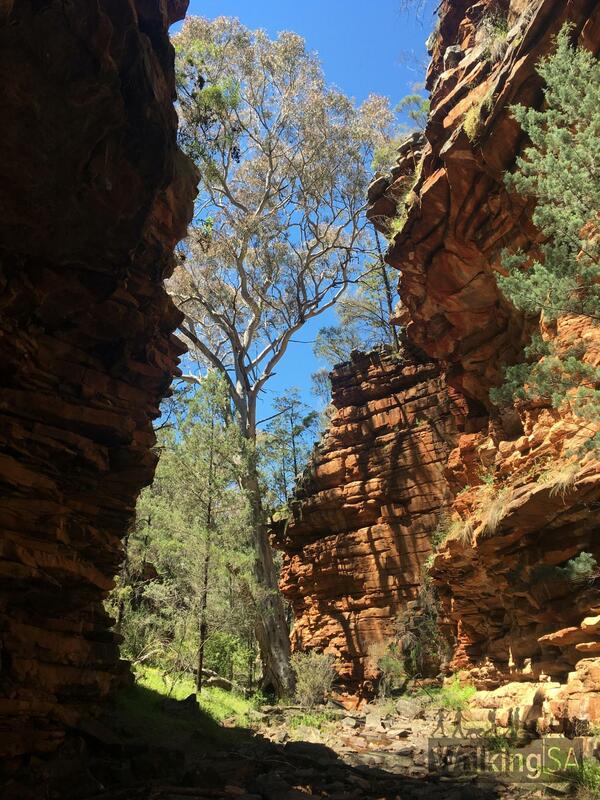 The Narrows is a gorge a couple of metres wide which stretches for several hundred metres. 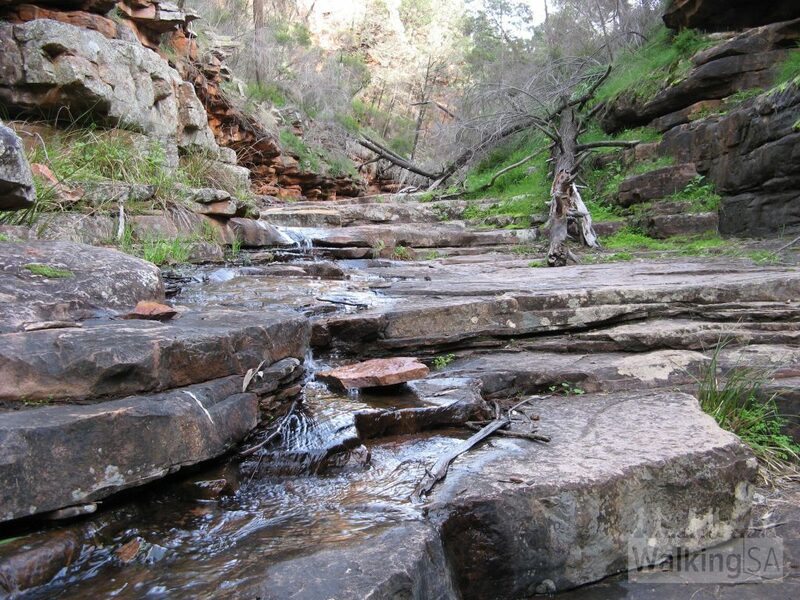 The Terraces are a series of platforms which the creek flows down. 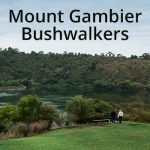 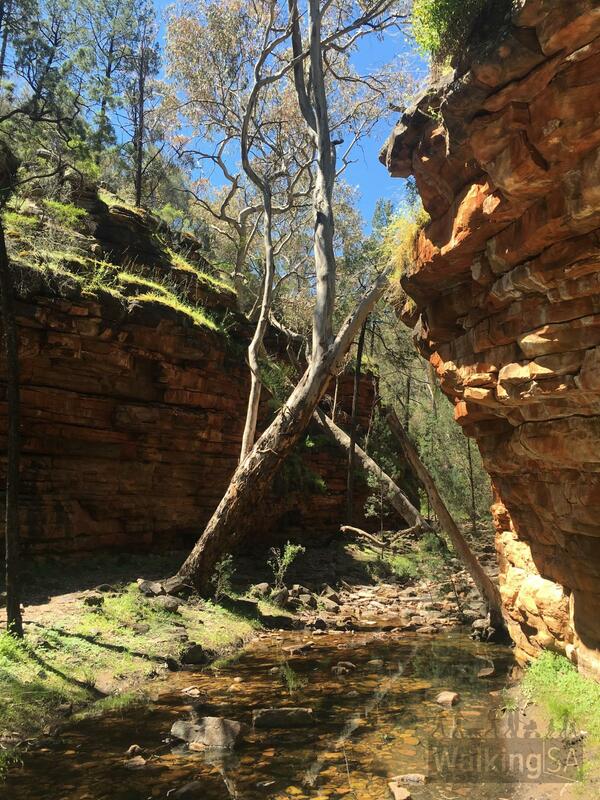 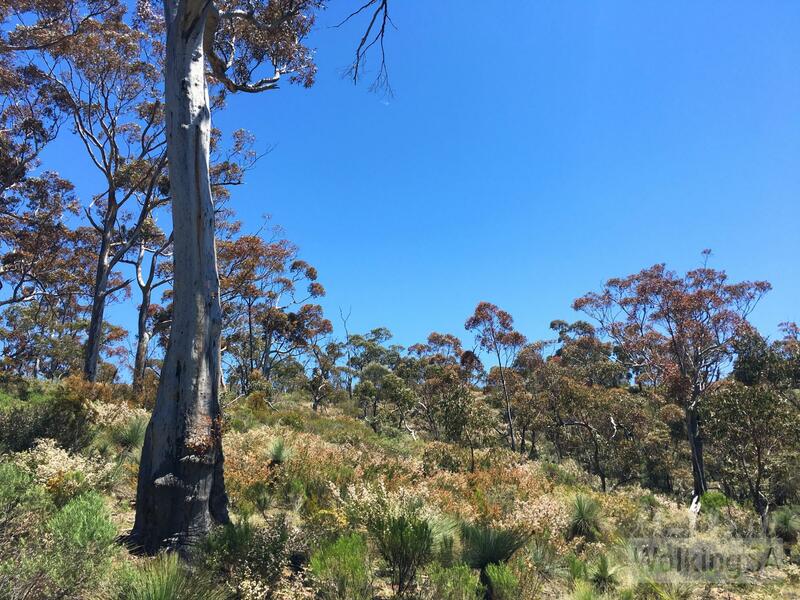 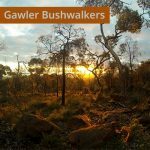 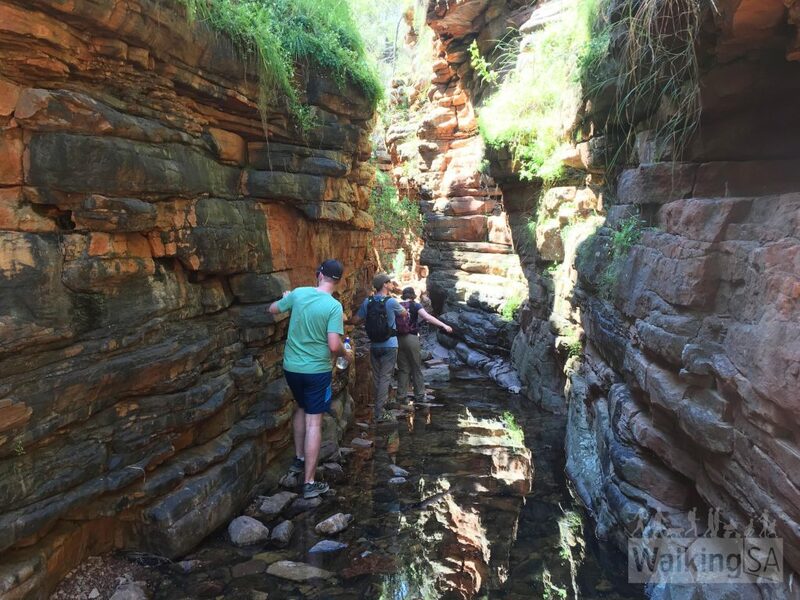 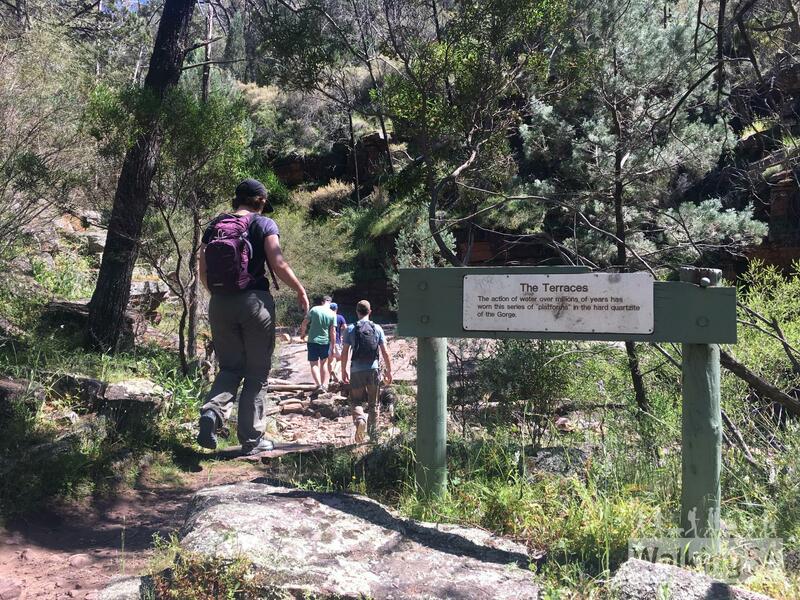 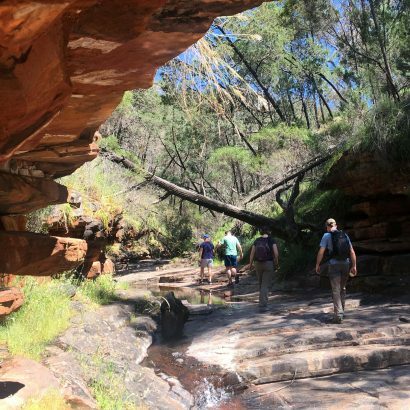 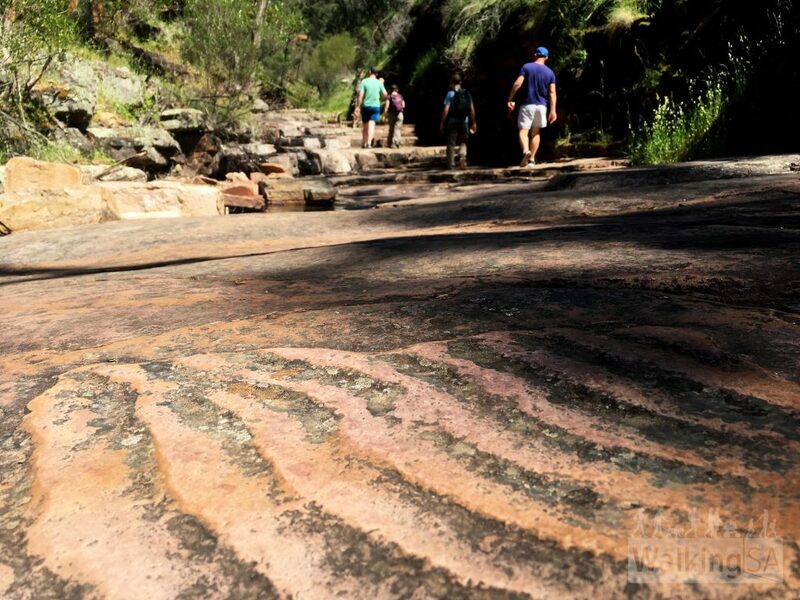 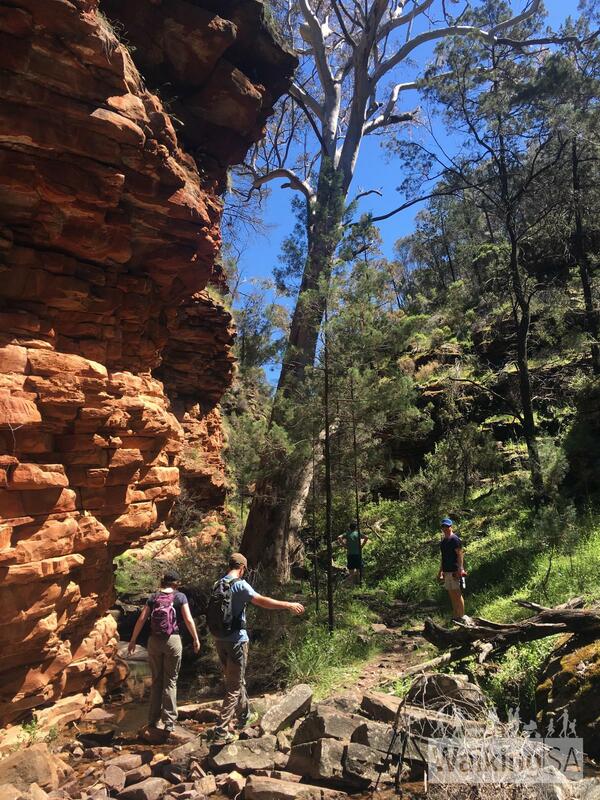 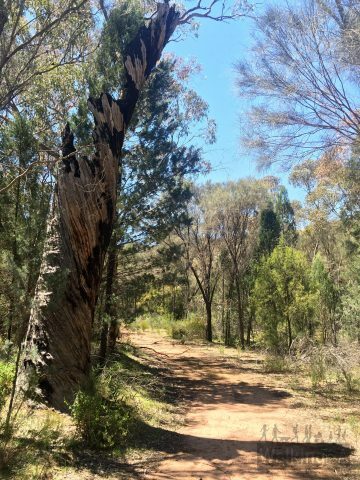 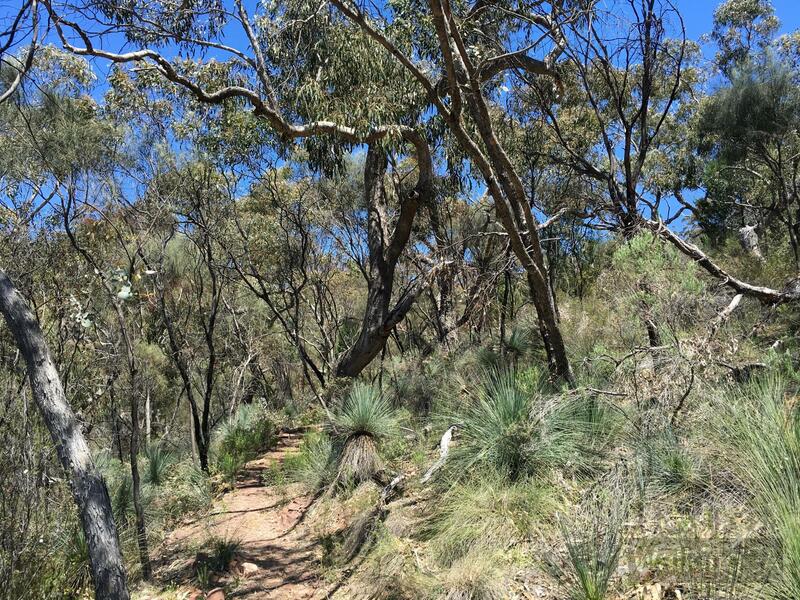 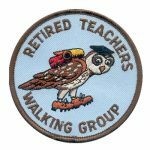 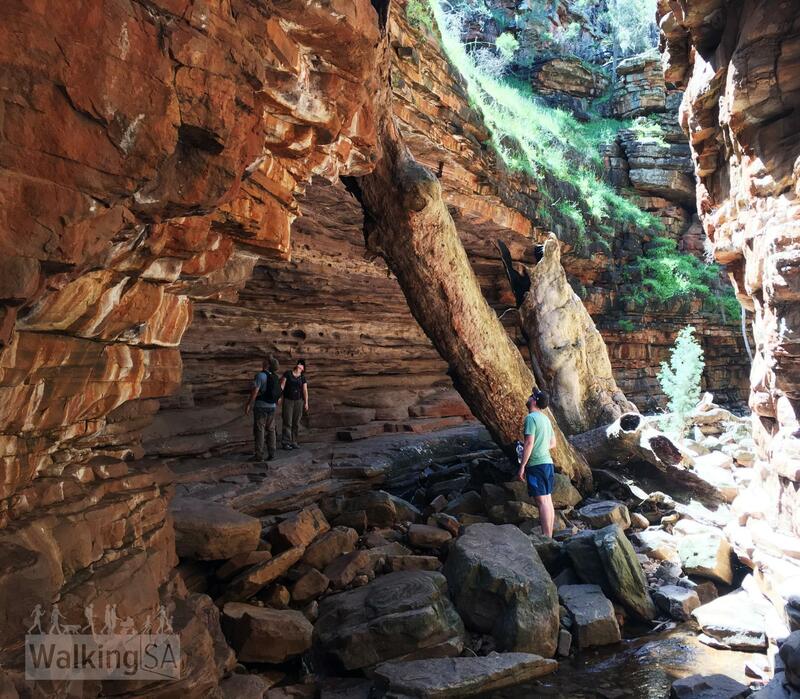 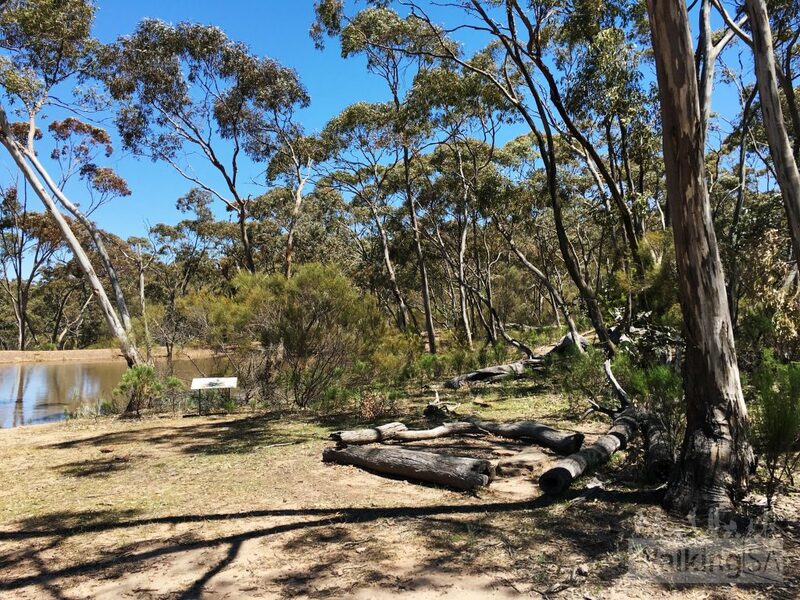 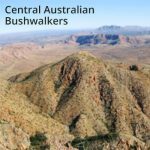 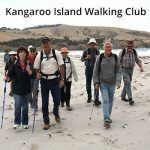 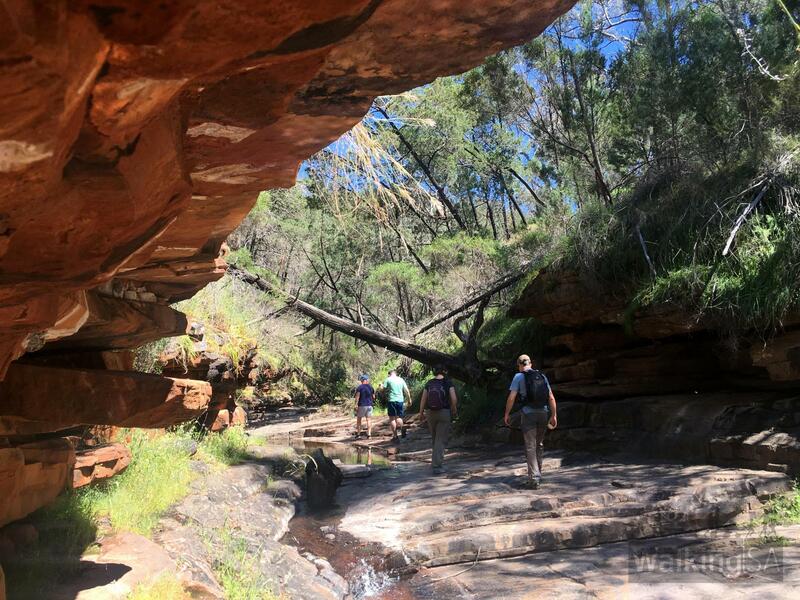 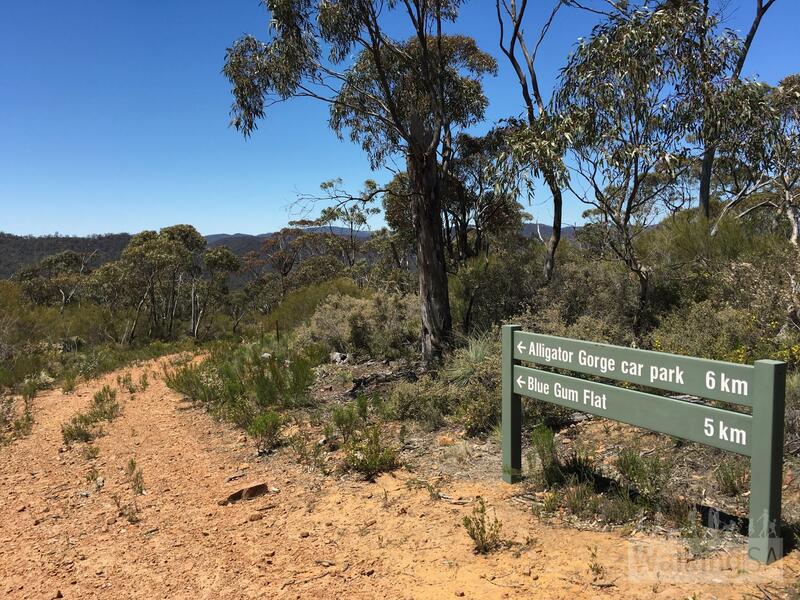 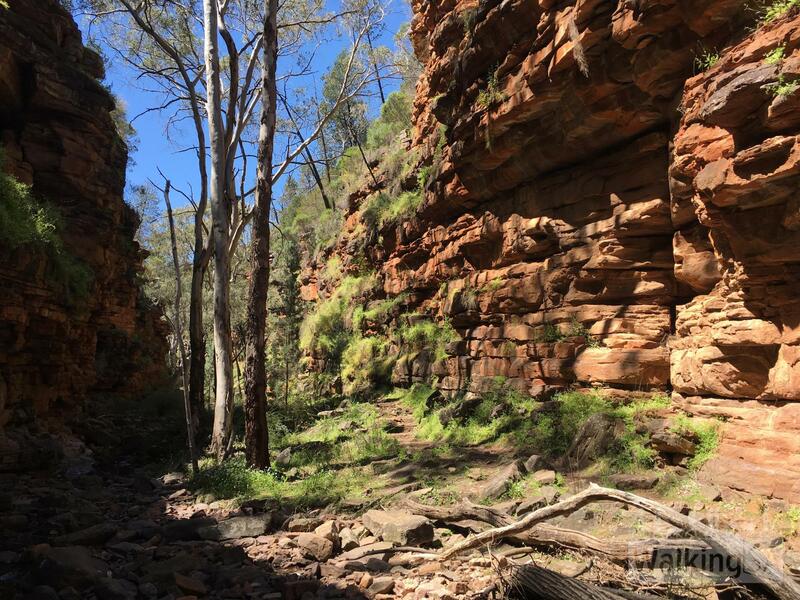 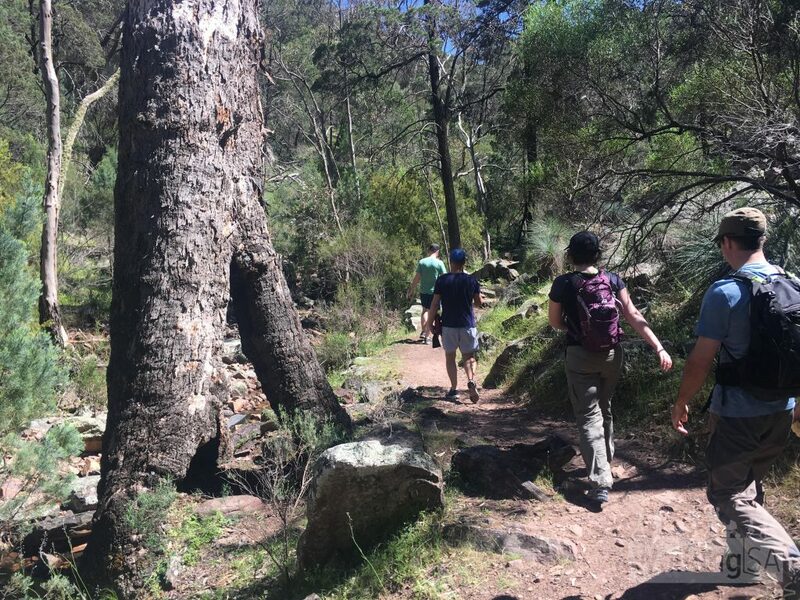 Walking anti-clockwise, when you leave the gorge and reach the Ring Route Track, you could undertake a short sidetrip by turning right and heading up the firetrack to The Battery for spectacular views over the Spencer Gulf.